Payroll taxes are often a daunting subject to tackle. While we can make the process simple for you by calculating, depositing and filing your taxes, you must understand how payroll taxes operate and how the math works. The government levies a certain tax on your wages and uses the incoming money for the welfare of the people – education, health care and infrastructure being some of them. These taxes are not directly filed by you. Your employer withholds a certain amount of your salary that he later pays as payroll taxes to the government. How Can I Pay Payroll Taxes? Employers often exercise their withholding obligations towards employees’ salaries. These include taxes and social securities. The employers can then pay this tax to the government or outsource the process to a professional payroll management service provider. The service providers often offer online as well as manuals ways of getting the job done. 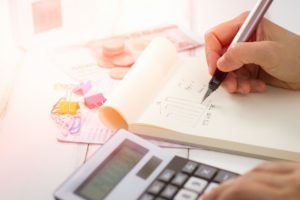 What Are the Payroll Tax Rates in 2019 and How Do I Calculate It? Calculating payroll taxes in India is somewhat a challenge. The payroll taxes here depend on the local taxes and include wages, pensions and annuities, gratuities, advances, and other remuneration. The Indian tax system is a composite tax system and makes use of various slabs based on the age and income of an individual, to calculate applicable taxes. The older you are, the more are these tax schemes in your favor. To summarize it, if you are less than 60 years old and earn an amount between INR 2,50,00 and 5,00,000, then you are charged 5%, and between 5,00,000 and 10,00,000 INR as 10%. Any amount earned above that bracket incurs tax at 30% of your income. However, if you are older than that, your income slabs range from INR 3,00,000 to 5,00,000, 5,00,000 to 10,00,000 and above 10,00,000, the percentage of taxes levied being the same as aforementioned. Lastly, if you’re older than 80 years of age, you have to pay taxes only if you earn over INR 5,00,000. 12% of your salary would be deducted to contribute to the social security scheme of India, Provident Fund and Pension Schemes. 4.5% of your wage goes to the Employee State Insurance Scheme. This is a contribution to the health benefits provided to employees. Under this, the employer must provide a Form-16A to the employee with information regarding all the state and central taxes the employer has withheld. The National Pension Scheme, an initiative by the Indian government, has a defined set of rules to play by here. An employee must pay INR 50,000 or more to avail it. As per Section 10 of The Factories Act, you must pay taxes if your business is an ‘occupational hazard’ in correspondence to the engagement of workers. This is payable to the state government for the maintenance of a team of expert medical practitioners for your workers’ welfare and hence, varies from state to state. It is needless to mention that payroll taxes are paid to the government, and the government is serious about late payments, wrong payments and no payments. When you fail to comply by the rules, there are hefty charges coming your way. The best way to elude such fines is to hire a professional payroll service that can take care of your tax-related hassles. Deposit the correct amount. If you deposit more, a refund is possible. However if you pay less, a hefty fine awaits you. Deposits to be made in the right way using the right mode and channel. A time sensitive late penalty system is in circulation by the government. As per the current rules, if you pay your taxes after the deadline of July 31st, you have to pay a fine of INR 5000. Whereas, if you pay after December 31st, you are charged INR 10,000 as fine. However, if you fall in the income slabs below INR 5,00,000, you are fined a maximum of INR 1000. All said, these rules and regulations are subject to change after every revision of the Income Tax Act. Information provided here are in no means legal advice, but a guide taking you through the financial scenario of payroll taxes in India. The aforementioned data is certainly a lot to absorb and understand, and specially complicated if you are a non-resident Indian. There are a lot of other things that play a role in determining your payroll tax amount, for example your income earned internationally. To tackle the daunting math effortlessly, you can hire a professional Payroll service provider. We, at PaySquare, have an experience of over 17 years in payroll outsourcing services in India and can help you manage your payroll seamlessly. Call 985 088 8303 to speak to our representatives today.